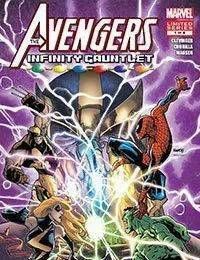 The evil THANOS has acquired the Infinity Gems, granting him control over the entire universe. Hes destroyed half the population of all worlds. The only force standing in his way? THE AVENGERS! But how can a ragtag group of heroes and villains (!) overpower the unstoppable?